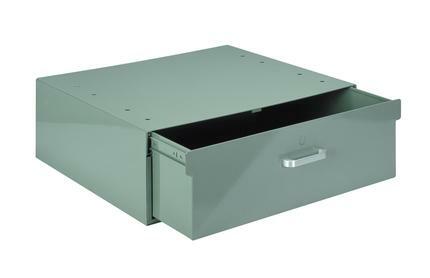 The "big" roller bearing drawer is great for the storage of larger items because of it's 6 3/4" depth and 21 3/4" width. The drawer has a 75# capacity and will mount to the bottom of any workbench. Other drawers will bolt to the bottom of this one if the applications requires more storage area.